No directors have been able to direct across four-and-a-half decades with the success of Steven Spielberg. His freshman directed effort, The Sugarland Express, was 43 years ago and with Spielberg’s newest film, The Post, releasing in a few weeks, he proves that he is still at the top of his game. 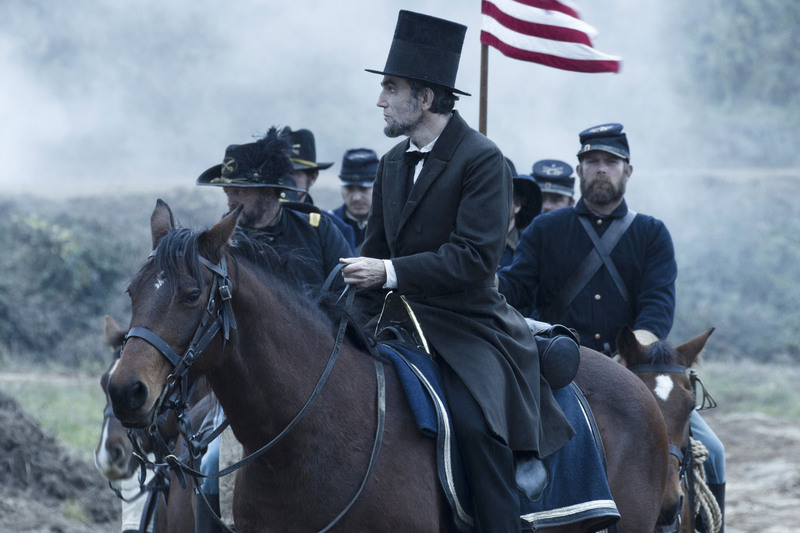 Directing Daniel Day-Lewis to his third Oscar and fifth nomination is a feat in itself, but the 150-minute film makes sure to highlight more than just the man in it’s title. The center of the film is the president’s struggle and determination to pass the 13th constitutional amendment; to abolish slavery in the United States. A bit too “talky” for some folks, the film mingles a legendary story, an impeccable performance, and witty dialogue with the master filmmaking of Spielberg. It’s hard to imagine Tom Hanks as a supporting Actor in a Spielberg film, but the renowned actor let Leonardo DiCaprio take center stage in this biopic. At times a clever comedy and at others a dramatic tale of loss and deceit; the film is regarded as one of Spielberg’s most unique in tone. Nominated for only two Oscars (one was Christopher Walken’s second after The Deer Hunter), the underappreciated film has always been one that fans know they can go back to. 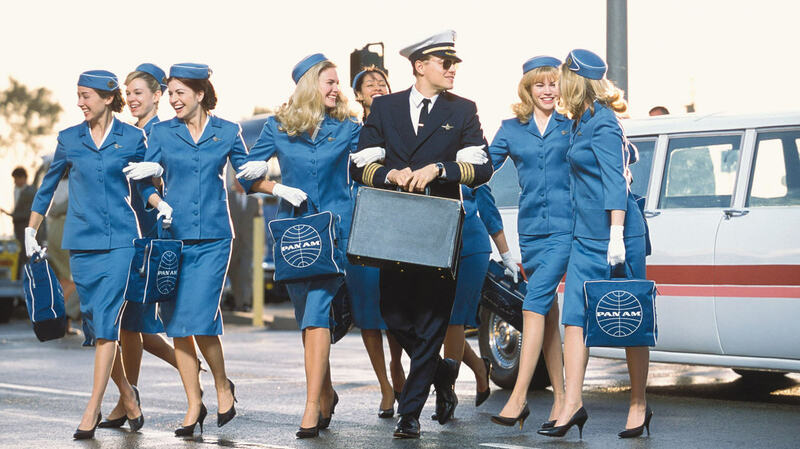 Catch Me If You Can may be one of Spielberg’s most underrated films, but the title undoubtedly belongs to his 2005 intimate historical drama, Munich. Most forget the film is Spielberg’s or have yet to hear of it at all; it recounts the five men who were assigned to assassinate those who were responsible for the murder of eleven Israeli athletes at the 1972 Munich Olympics. The film stars an up-and coming Eric Bana and Daniel Craig; more in the vain of his war epics than his family entertainers, Munich is gritty and hard to watch, but should be at least once by all film-lovers. Out of all the movies based upon H.G. 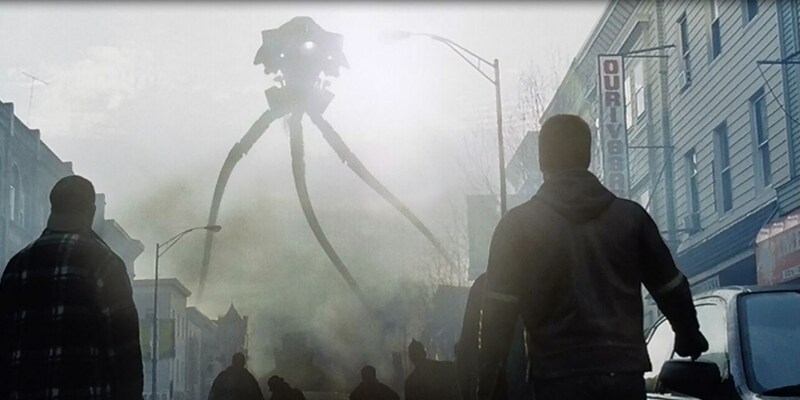 Wells novels and stories, War of the Worlds is one of the only to be even remotely successful. Tom Cruise starring and Dakota Fanning “career-launching”, the family drama concerning surviving an alien invasion captured the horror of the source material while not overlooking the chaos and spectacle. The technical achievement may overshadow the plot (which may rank among the lower percentile of Spielberg’s) it’s aged finely and was certainly a film of its time. Simply the “Spielbergyess” of all Spielberg films, the film is a family friendly tale of individuality and friendship. 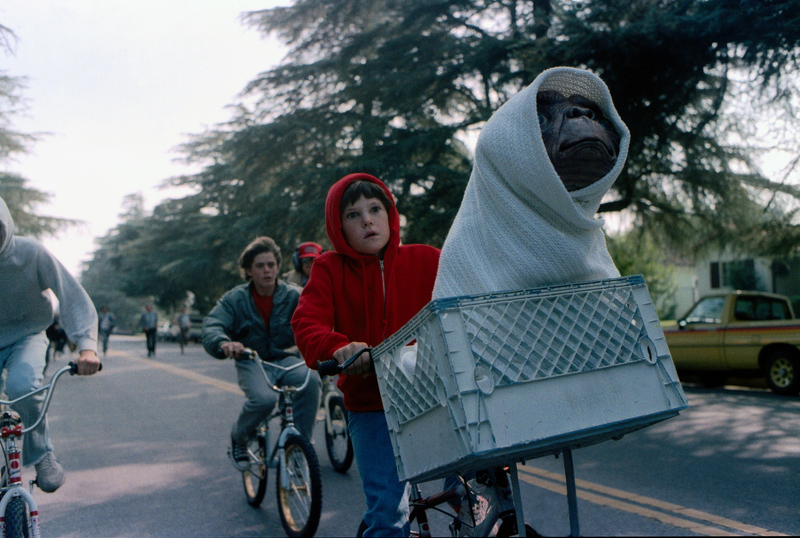 “A Boy and His Dog” becomes “A Boy and His Alien” as E.T. and Elliott escape family and government oppression to get the small creature back to where he belongs. With a number of iconic quotes and images, the film has become a time-capsule for eighties culture and is ingrained into most of our childhoods. Sentimental, nostalgic, and quintessential illuminate the film’s emotion. This is the film who’s position I expect to hear the most flak from, but genuinely, being this high on a list like of this stature still means you’re indisputably one of my favourite films. 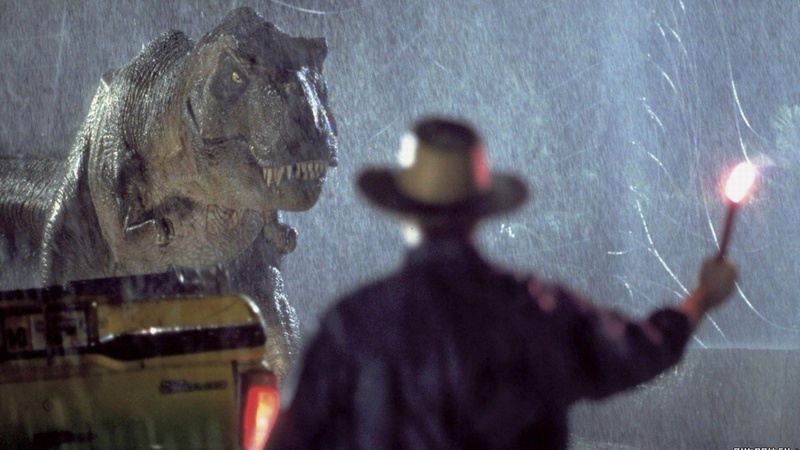 Jurassic Park is a procedural gem and 25 years later its mix of computer-generated graphics and practical effects looks prodigious compared to films that’ve come after. Spawning a five film-franchise (one of which once held the record for opening weekend [Jurassic World – $215 million]) many point to this as peak Spielberg and his most timeless in a list of masterpieces. 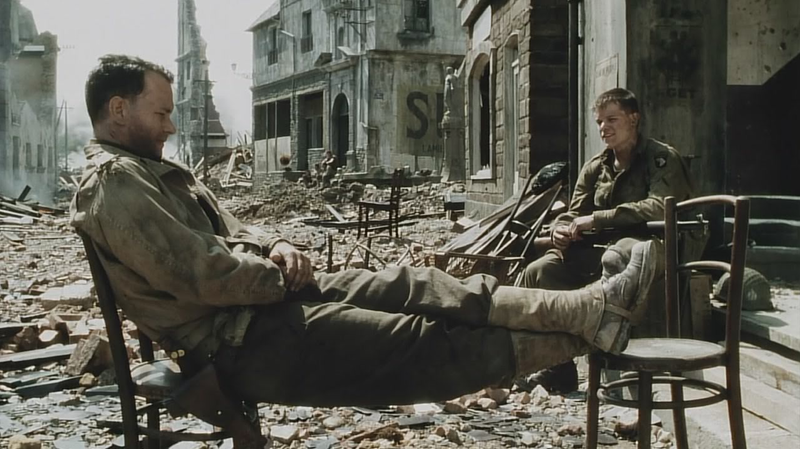 Re-introducing the horror, reality, and bravery of the men who fought for the Allies during WWII, Saving Private Ryan was a masterclass in direction. The film’s opening recalls the brutality and terror that war can achieve, and Spielberg never seemed to let up. An all-star cast including Tom Hanks, Matt Damon, Vin Diesel, Giovani Ribisi, Tom Sizemore, Ted Danson, Paul Giamatti, and Edward Burns help bring Spielberg’s utmost well-directed film to life. Infamously being beaten out by Shakespeare in Love to win Best Picture at the Academy Awards, the film has since been renowned as one of the greatest war films of all time. On a side note, I have never had such a conundrum ranking two films as I did between this and the one which currently sits at number two. Coming out the same year as Jurassic Park, Schindler’s List couldn’t be farther in tone. On almost every “Top Ten Most Disturbing Films” or “Top Ten Films You Never Want to See Again”, the true story of how Oskar Schindler saved 1,100 Jews from certain death during the Holocaust is much less uplifting than it sounds. The film has become a microcosm of the Holocaust; adding depth and horror to the story of Schindler’s Jews. The climax, watching Schindler sob as he begs for forgiveness proclaiming that he “could have gotten one more” is sure to bring a tear to even the emotionally-sturdiest of viewers. In case you’ve yet to accept its universal acclaim, the film sits at number six on IMDb’s Top 250. And yes, I do have a Schindler’s List tattoo. I personally believe that 2008’s The Dark Knight is the greatest film of all time. That being said, I do have the discipline to understand that it does not hold the coveted accolade I’d give to 1975’s Jaws: the perfect film. Spielberg’s shark actioner is often regarded as cinema’s first “block-buster” and 42 years later is still a prime example of superior Hollywood charm. Thrilling and captivating, the film’s story arc is still taught in film school today and it’s use of “less is more” when regarding Bruce (the shark) is literal movie-magic. All five aspects of film (narrative, mise-en-scene, sound, cinematography, and editing) culminate together to create something truly astounding. Roy Schieder, Robert Shaw, and Richard Dreyfuss aided Spielberg into fame and crowned him the father of the modern cinematic adventure. 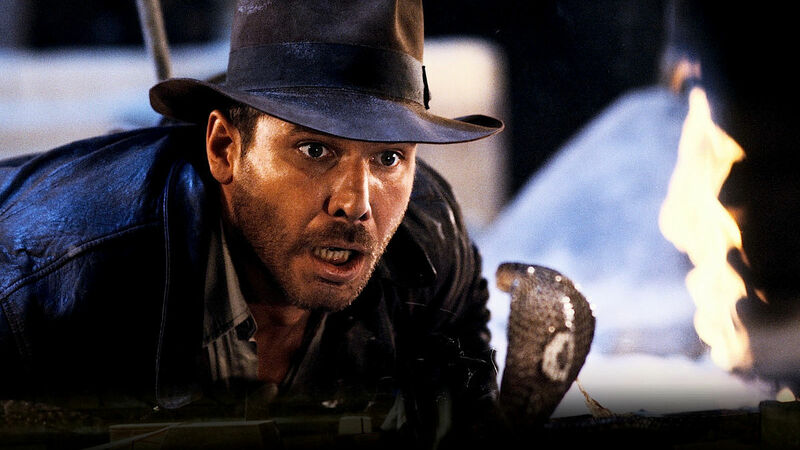 Any Spielberg films you think should have been included? What’s your number one Spielberg film? Let us know below or on Facebook and Twitter.